The spinous ear tick (Otobius megnini) can sometimes cause problems in horses. This type of tick, which is classified as a soft tick (argasid), is known to lay their eggs in their host's ears. When the larvae hatch, they can cause severe otitis (itching) and inflammation of the ear canal. Horses may be seen frequently rubbing their ear, shaking their heads, and displaying signs of irritation. In severe cases, muscle spasm and head tilt may develop. It is diagnosed by detection of the ticks in the ear---which may require sedation. Your veterinarian will need to physically remove the tick and clean the exudate. Treatment for secondary skin infections may be indicated. Antibiotics May be needed to help prevent secondary infections. 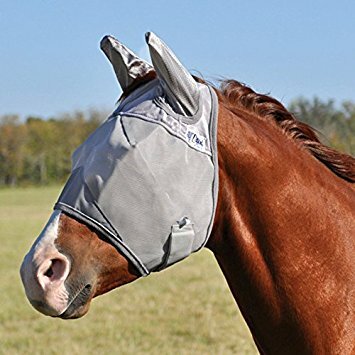 Use fly masks with ear coverage while horses graze in pastures.